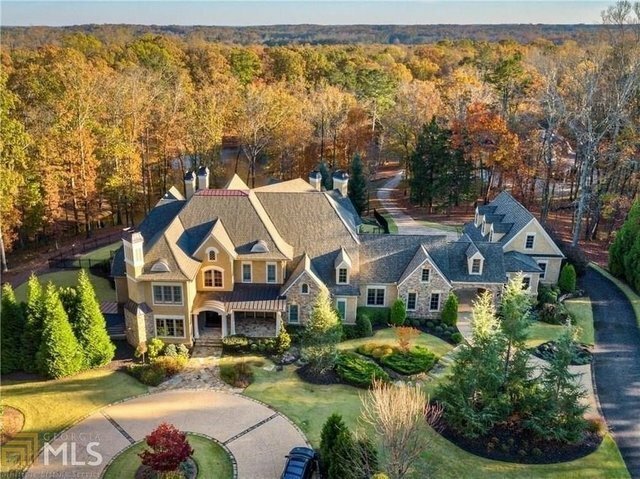 Unmatched property and custom estate nestled in Southern Cherokee County! Situated on 20 acres with stocked lake and beautiful pastures with easy access to private air travel. Carriage house features luxury apartment and climate-controlled area perfect for specialty car collection. Upon entering you are struck by the classic elegance and superior craftsmanship. Indoor spaces flow seamlessly to outdoors like the infinity pool cascading into the kaleidoscope of colors in the never-ending landscape. Breathtaking views from each room frame snapshots of a Hallmark movie.